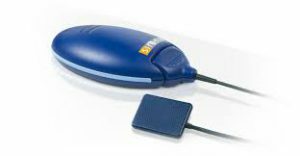 Digital radiographs reduce exposure to x-ray by more than half and can be enhanced using computer programs. They are also ‘chemical free’. 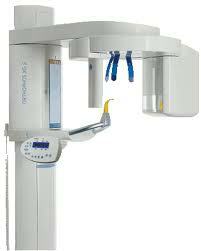 They have higher resolution than film xrays and can be digitally enhanced or enlarged for diagnostic purposes. Digital OPG or full mouth x-rays are available on site so there is no need to make a separate visit to the radiologist, deal with the hassles of a referral or wait around for your x-rays as they are instantly processed and available for viewing straight away. 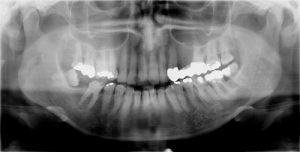 With digital radiographs we can easily transfer these x-rays to your specialist orthodontist, periodontist or oral surgeon which means the referral process can be fully managed by us so you don’t have to worry about bringing your digital records with you. As they are digital files you won’t misplace them and we can forward them to multiple providers. 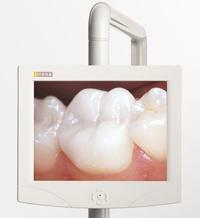 We also have a digital intra- oral camera which can provide you with live camera images displayed on our dental chair monitor.